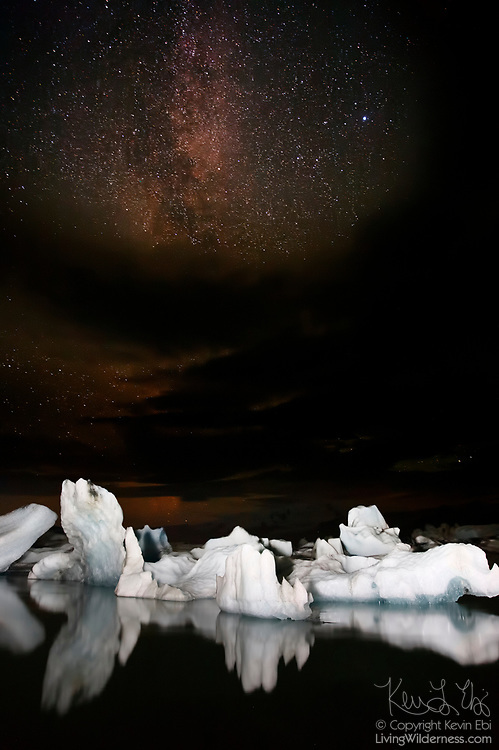 The Milky Way shines over the icebergs floating in Jökulsárlón, the glacial lagoon in southeast Iceland. The icebergs floating in the lake calved off from the Breiðamerkurjökull glacier with some of the ice being more than 1,000 years old. Jökulsárlón covers an area of about 18 square kilometers (6.9 square miles) and ranks as the deepest lake in Iceland.